Joel Osteen, who is more of a life coach than a pastor, is mentioned in the Christian News article. Heather Clark reveals that a few years ago Osteen caused concern when he was asked by the Huffington Post whether God accepts homosexuals. Here’s the so-called pastor’s response: “The Scripture teaches the way people are going to know His disciples is for our love for one another, and so, I’m not preaching hate [or] pushing people down. I’m not here to tell everybody what they’re doing wrong.” Joel Osteen is also not here to teach what the Holy Spirit inspired, infallible Word of God says about homosexuality, that it’s sinful! 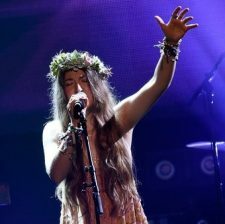 Popular contemporary Christian music (CCM) artist Lauren Daigle said this week on the “Domenick Nati Show” that she can’t answer whether homosexuality is a sin because there are people that she loves that are homosexual and she is not God. She noted that people should read the Bible to find out for themselves, and let her know what they learn. “Do you feel that homosexuality is a sin?” Nati, whose broadcast is aired on iHeart Radio, asked forthrightly. “You know, I can’t honestly answer on that, in the sense of I have too many people that I love—that they are homosexuals,” Daigle, known for the hits “How Can It Be” and “You Say,” told the celebrity publicist.